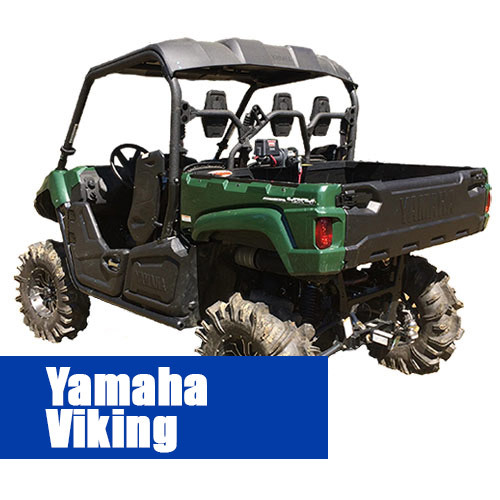 UTV Game loaders available for Polaris, Yamaha, John Deere and others. Get your Game On! Get your game on with a BowdupLoader™! 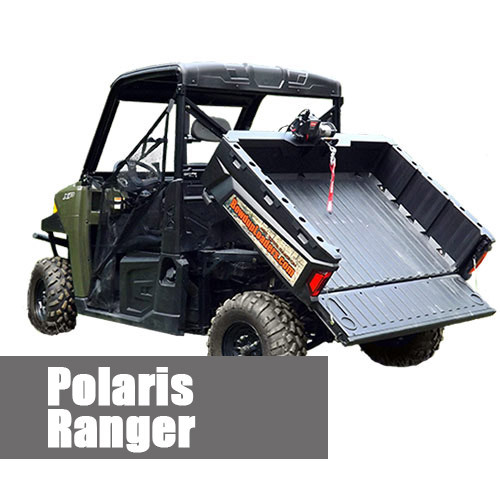 A must have patented one of a kind addition to the Polaris Ranger, Yamaha Viking 700 and John Deere 825i owners accessory tools. The BowdupLoader™ is a rear mounted winch system designed to load heavy objects up to 350 lbs. directly into the bed of a UTV. 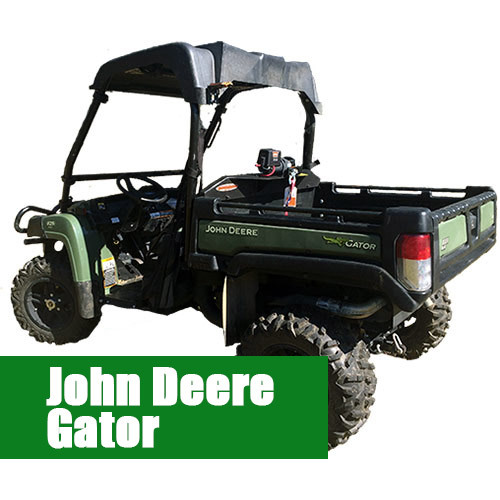 The remote control for the Warn 2000lb winch allows single person operation to guide your load or trophy easily into the bed making it ideal for deer hunters, hog and other large game hunters as well as farmers and property owners. The system installs in about 45 minutes the first time (model dependent) and only requires placing the loader on the front bedrail and plugging it in thereafter(800 & 900 model) 570 and John Deere 825i models require bolts. Designed for durability, ease of installation and operation, your loader will stand the test of time. 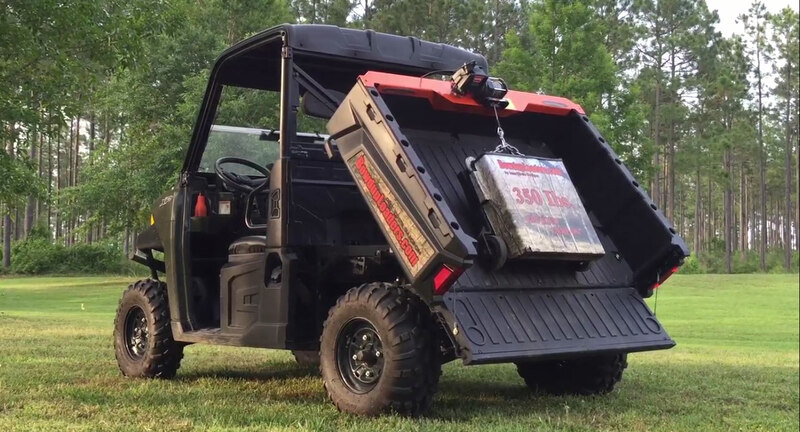 If you hunt alone or have difficulty loading heavy objects into your UTV, the BowdupLoader™ is right for you. 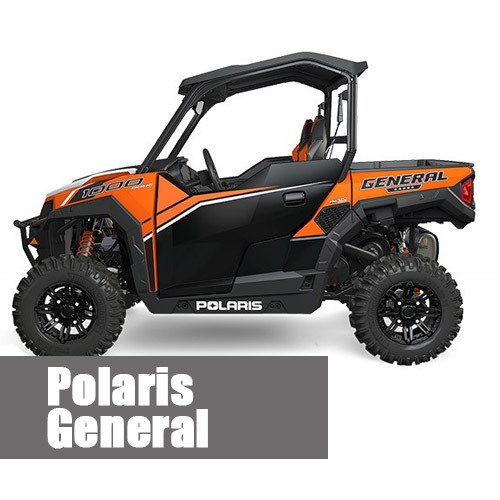 We are currently developing and testing new models to fit today’s popular UTV’s. Sign up for our newsletter today and we will keep you informed when new models are available. A must have accessory for every UTV Owner.. The BowdupLoader™ is an easy to use add-on accessory that no UTV owner should be without. Our loaders offer single person operation making it easy for you to load heavy items into the bed with the push of a button. Check out our videos of the BowdupLoader™ in use and see for yourself.